The plan for today had been to arrive in Tsuchiura, set ourselves up for our three day stay and go into town, maybe see the lake before it got dark. It’s only we had a lot of washing so that plan died as even now we’re still waiting for it to finish. We have plenty of time to see Cerulean City tomorrow so we’ve settled on finding some good hearty food once our chores are done. However, across the street from our hotel is a Video Game Shop, the first one we’ve seen outside of Shinjuku so far. So I went to take a gander. PlayStation and Nintendo games line the shelves (not much Xbox I’m afraid) but it’s not simply the latest stuff on offer. Three shelves were dedicated simply for PSOne games. The same goes for old Nintendo titles and even Sega games are still in reasonable supply. And this is Tsuchiura we’re talking about, it’s not like the epicentre of Japan. But what is most intriguing about this is how cheap these games are being sold for. 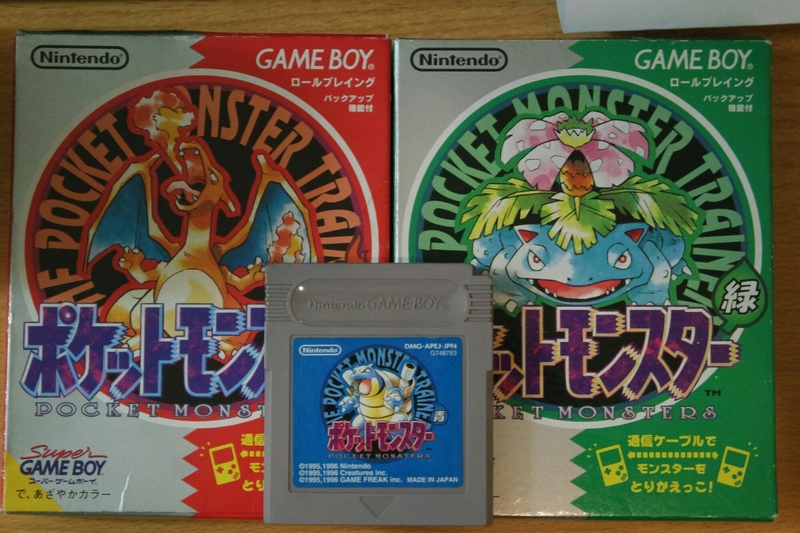 I’ve found all three original Pokèmon titles for just under £6. In the UK you’re looking at £8 at least for simply one of them. My Pokèmon Green version came fully boxed with all the pamphlets inside no less! But things like Dragon Quest and Final Fantasy are in huge supply too and they really don’t set you back very far either. It doesn’t stop there though, piles of memory cards and console add ons sit in the cabinets too. It shouldn’t really come as a surprise, but when good older games are so hard to come by at home, it’s great to see them still thriving here today. 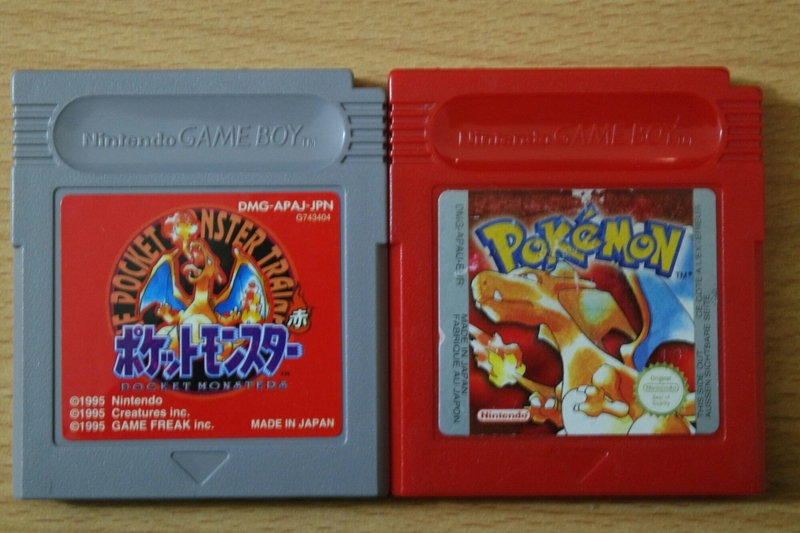 Anyway I’ve now picked up Pokèmon Red, Green and Blue on my travels now. Why this meant so much to me is that; the Red and Blue released internationally are essentially the Red and Green of Japan. However they have updated graphics that were first found in the Japanese Pokèmon Blue, which was released several months after the first two titles. Thus our versions are JP Red and Green with the graphics of JP Blue. 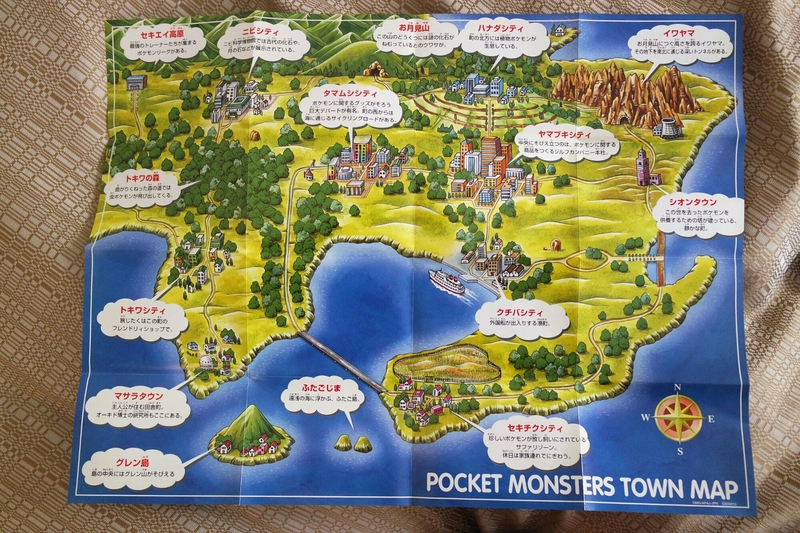 As for JP Blue, the Pokèmon locations are hugely different and many creatures previously not found in the wild have been slotted in making it a little more different than we’re used to. Essentially these are differences only are die hard fan could care about, and it seems I fit the bill. Tomorrow we should be fully refreshed and ready to see the sights of Cerulean City where the great Lake Kasumigaura awaits us!